Technology has become the heart and soul of every business. 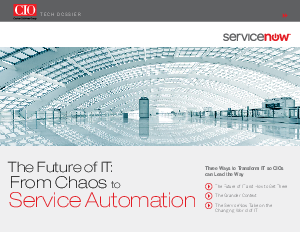 only get more challenging, bringing the need for disintermediation through service automation. Three IT transformations can help IT get its own house in order to become the proactive partner of the business. By applying these concepts, IT departments at major enterprises are changing the way they engage with their business peers.